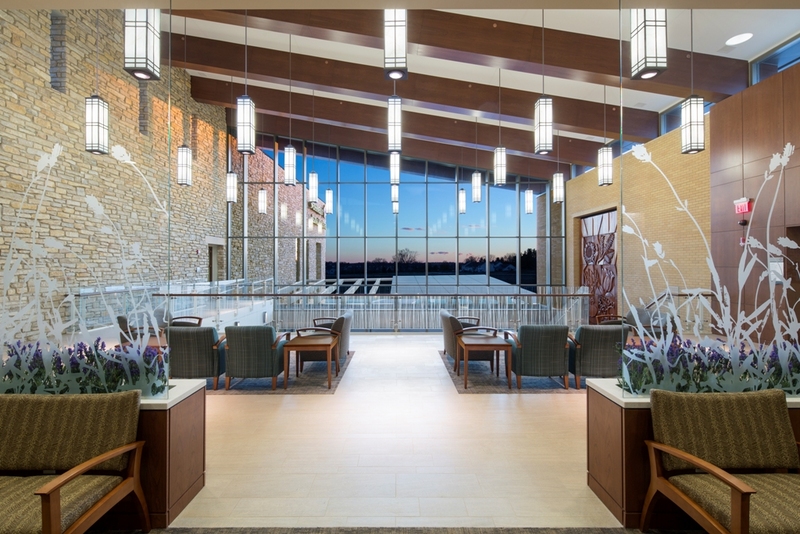 Join the U.S. Green Building Council-Illinois Chapter's Rockford/Northern Illinois Branch for their upcoming program and tour of the SwedishAmerican Regional Cancer Center. The SwedishAmerican Regional Cancer Center offers state-of-the treatment and support services to cancer patients. 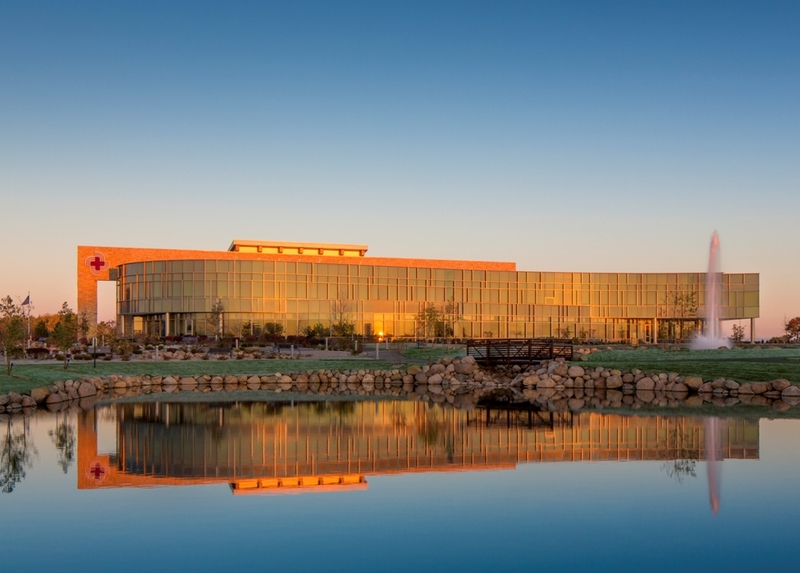 The 68,000 SF facility incorporates Medical Oncology, Pharmacy, Laboratory, Radiation Oncology, Medical Imaging, Holistic Health, Administration, and Patient Education in a building designed to be supportive of the patient’s path to wellness. There are many options for patient privacy including private, semi-private, and open rooms. Amenities include waiting areas with fireplaces, a café, and retail spaces. The 25 acre site features tranquil green spaces, healing gardens, and water elements. The building has a main southern-facing public entry point feeding into a two-story public lobby. Building materials are warm with emphasis on texture and natural light. The exterior of the building is divided into three separate elements. The western element is defined in masonry with punch openings. The center element is clad in glass and abundant light. The eastern element is transitioned by a massive stone wall serving as a backdrop for the building from the west to the east, providing a flowing façade of glass. The first half of the presentation will describe the building materials, design, and mechanical systems in design to consciously achieve LEED for Healthcare Certification. The second half of the presentation will be a tour through the building spaces. SwedishAmerican Regional Cancer Center was designed by Eckenhoff Saunders Architects and Saavedra Gehlhausen Architects and built by Ringland Johnson Construction.